Home › Newsroom › Run Ward Hadaway Run! The run, which raised £7,500, was the brainchild of Ward Hadaway’s Corporate Partner, Katherine Hay-Heddle and Commercial Partner, Matthew Cormack as a fun way of celebrating the firm’s 30th anniversary. Ward Hadaway’s Managing Partner Martin Hulls got the team under way at 6am from the firm’s office at the Observatory in Manchester on September 13th. They ran to Wellington Place in Leeds and arrived at Ward Hadaway’s headquarters on the Quayside in Newcastle the following day at 3.30pm. It took just over 33 hours to complete the 135-mile distance, covering terrain including city streets, roads and rambling countryside. Between them the team ran a cumulative 490 miles (the distance from Newcastle to Luxembourg) with many running further than they had ever run before. Hadaway Harrier Hollie Morgan, a solicitor in the Matrimonial team at Ward Hadaway, said: “Even into the early hours, everyone taking part was still smiling, clapping and spurring each other on. Running along the Moors with such beautiful views was a high point for me. The team were joined for the final leg of the relay along Newcastle’s Quayside by 26-year-old British middle-distance runner, Laura Weightman. Laura from Alnwick in Northumberland, won the 1500m title at the British Athletics Championships. Former Olympic athlete Steve Cram CBE, co-founder of COCO and Laura’s coach, praised the efforts of the Ward Hadaway team in their fundraising challenge. 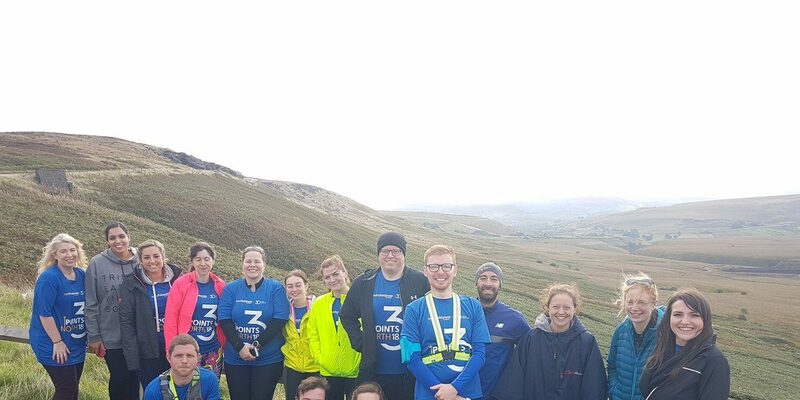 He said: “Everyone at COCO is extremely proud of the Ward Hadaway team for their incredible running and fundraising efforts in completing the Three Points North relay. “The money raised for COCO from the event will be invested directly into transformational projects that are improving the lives of many young people in some of the poorest parts of Africa. It comes at a significant time for us as we are currently raising funds for desperately needed classrooms in Western Kenya. Lynne Hindmarch, Greggs Foundation Breakfast Club Manager, said: “We are delighted to be working with such a wonderful company who have worked in partnership with us at the Greggs Foundation supporting a local North East Breakfast club for over six years enabling over 50 children each school day to access a free breakfast.